GAMBLE ONLINE - Top 10 Reasons - Gamble Online at Top Casinos! Many “traditional” gamblers often question the value of playing internet casinos to gamble online. They cite certain strategic limitations associated with the format—such as the inability to count cards in blackjack, or to properly read an opponent’s tells in poker. They further claim that to gamble online lacks the excitement inherent to typical gambling. After all, you’re only staring at a bunch of computer-generated images on a screen. How can that be any fun? While I agree that online gambling does pose certain restrictions and may at times be lacking in the thrills department, I contend that it still has quite a bit to offer gamblers from both an entertainment and strategic viewpoint. 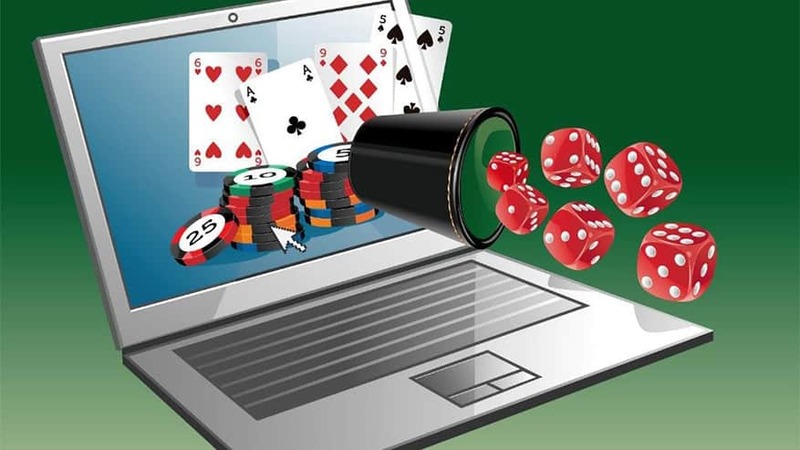 Let’s take a look at some of the top reasons for opting to gamble online. Have you ever wanted to try to gamble online but didn’t want to risk any money to do it? For beginning gamblers—or for those seasoned players looking to experiment with unfamiliar games—most top online casinos offer “play for free” versions of their software. The free versions provide a perfect opportunity to gamble online, learn and perfect their game without risking a cent. And because you’ll be playing alone against the house, you can take your time when making crucial decisions or even use strategy cards for games like online blackjack or video poker to guarantee every move you make is perfect. 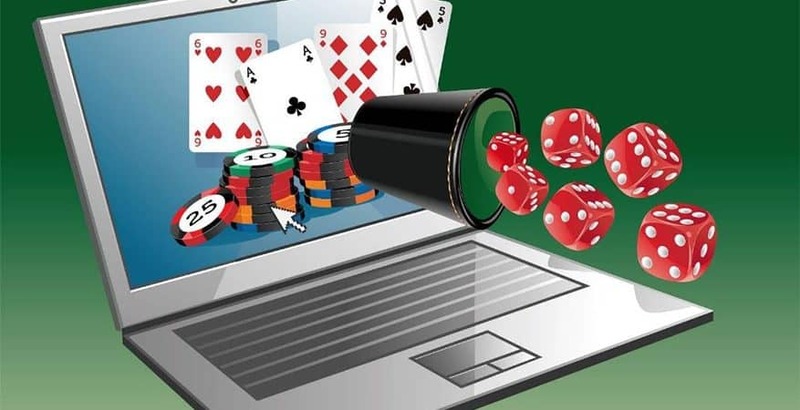 While it depends on the particular game you wish to gamble online with and you’re level of skill, in some cases online gamblers can find better odds then what’s afforded them in the land-based counterparts. Online Roulette players, for example, can opt to play the single-zero version of the game online—offering a house edge of 2.7%—while in US casinos they’re typically at the mercy of the double zero version with roughly twice the vig. Similarly, slot players who want to gamble online will find that online casinos offer higher average payouts than those of traditional casinos, hovering around 97% on many sites. Finally, since most reputable sites post their payout percentage for each type of game monthly, players willing to spend a little time can hunt down sites that offer only the very best odds for their preferred games. When considering the perks when you gamble online, convenience definitely ranks towards the top of any list. No longer are gamblers at the mercy of location—they can now play anytime, anywhere as long as they have Internet access. And not only do online players avoid the hassles of travel such as standing in lines at airports, or tediously long drives, they also minimize expenses. Funds once spent on airline tickets, rental cars and hotel rooms can be added to the bankroll or, better yet, not spent at all. While traditional casinos can offer their favored players free meals, show tickets and sometimes rooms, online casinos are typically offer free money to gamble online. For those of you that remember, in the early days of online gambling typical comps were pretty low to gamble online —sometimes non-existent. Nowadays, however, with the increased competition to get players through the door, most sites offer a wealth of cash comps to new and returning players. These take many forms, but typically include sign-up bonuses and no-deposit bonuses, match bonuses, player coupons, high roller bonuses, re-load bonuses and VIP Clubs. Some enterprising sites even offer players free cash just for downloading the casino software—no deposit required! The value of these comps vary from site to site—from as little as $20 to potentially over $1,000—so savvy players always keep an eye out for the best programs. One of the best perks in online casino gambling is having the luxury of going at your own pace when you gamble online. Unless you’re at a multi-player table, online gambling affords players time to better consider their moves and play at a slower pace. In a traditional casino, it can be somewhat intimidating to be sitting at a blackjack table trying to decide what to do while other players and the dealer wait for you. However, in an online casino you can go slowly, play more relaxed and truly consider your moves—without anyone else grumbling about how slowly you’re going. Similarly, you feel less pressure on your actions, knowing that a misplayed hand won’t hurt the table and make you the enemy of every other player. No matter what type of game you prefer to gamble online, chances are you can find it at an online casino. Although traditional gaming fare such as casino games, sportsbetting and poker are still the most common. Players who are so inclined can also find an ample number of sites offering horseracing, international lotteries, keno and bingo as well as non-traditional betting options on games like chess, dominoes and pool. While more than a few online casino take the cookie-cutter approach—offering the exact same software and games to gamble online, many others take a more creative approach when it comes to their gaming options. Indeed, many sites offer completely unique games that not only aren’t available in other online casinos, but are absent in traditional gambling halls as well. With poker and bingo gaming, it’s no mystery that sites like Party Poker, Poker Stars, and Ultimate Bet, offer players a never-ending stream of exciting tournament action. But poker isn’t the only game that boasts big tournaments online. Just about every popular game has a tournament presence somewhere on the ‘Net. Some online casinos feature weekly blackjack and video poker tournaments, and online slot tournaments for a more social way to gamble online. Because so many people are trying out games when they gamble online that they might not otherwise have played in a traditional setting, many sites now offer extensive “how to” sections designed to teach players the optimal strategies for a wide variety of games. In some cases, players can simultaneously gamble online and review charts and strategies found in special tutorial sections of the site. While these tips may not quite replace practice and years of experience they can serve as excellent references to help players increase their chance for success. Some gamblers avoid the option to gamble online simply because they fear that if a problem occurs they’ll be on their own. While this may be a valid concern when dealing with “bad” sites, any reputable online casino knows that customer support is crucial to player confidence. As such, they tend to go all out to make sure that players can contact them 24/7 via a variety of methods. While these methods tend to vary from site to site they generally involves a combination of options including toll-free telephone, e-mail, fax, and in some cases, live chat. Some may argue when they gamble online, it lacks some of the adventure inherent to traditional casino gambling. However, it’s hard to deny that it offers its own share of perks that land-based casinos can’t compete with. And while I’m not suggesting that the option to gamble online ever could—or even should—replace traditional types of gambling, I think that it has a greater value than its critics give it credit for. Before you gamble online for real money, try out our FREE CASINO GAMES Room.